Another fantastic project for Blackhill Engineering. 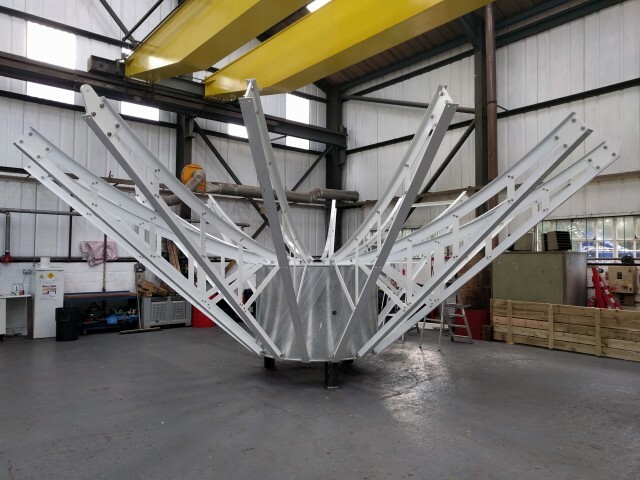 Blackhill Engineering is currently building a satellite dish for a Devon-based company. The 7½ meter dish is the first of two destined for a secret location. The photograph shows the satellite dish in mid-assembly ready for the top dish plates to be attached.